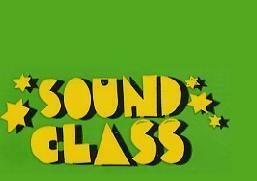 sound class is a vivid, well-informed, and concise (30 min!) documentary about the history of the soundsystem from its beginnings in 1950s jamaica to its contemporary influence on the sonics and styles of music worldwide, including hip-hop, UK garage, next-wave ska, and various DJ- and remix-based musics. filled with original and "found" footage, the DVD tells the story beautifully and pursues the connections between reggae and hip-hop in a deeper manner than i have seen anywhere else (except maybe jeff chang's book). nuff big men represent for the film: u-roy, coxsone, jammy's, bobby digital, sly dunbar, steelie and cleevie, sean paul, kool herc, flash, and other luminaries and "founding fathers"--not to mention members of the specials and so solid crew on the UK side. their testimony is interwoven in a wonderful way, often making close connections between their perspectives--especially towards the end of the film where the focus is on the reggae-hip-hop connection. sound class is a fantastic introduction to the history of jamaican music, and i love that it really drives home the legacy of JA music and musical practice for the world. it would make an excellent teaching tool, and i'm only sorry i didn't come across it sooner. (thanks to jj for sending me a copy!) unfortunately, the DVD doesn't appear to be available very widely at this point. currently, far as i can tell, the only way to get a copy is to get yourself a one-year subscription to tokion magazine, at which point they'll send you a free copy. trust me, though: it's worth the price (which is only $25 if you're in the US). check out the tokion site, at any rate, as they've got some cool content to peruse, including the interview with herc from the film, an interview with sami-t from mighty crown, and--in the tokionFM section--mixes by masters-at-work, prefuse73, afrika islam, and a wicked congotronics video! big up tokion, and everyone involved, for this production. don't sleep, y'all: cop a copy today!